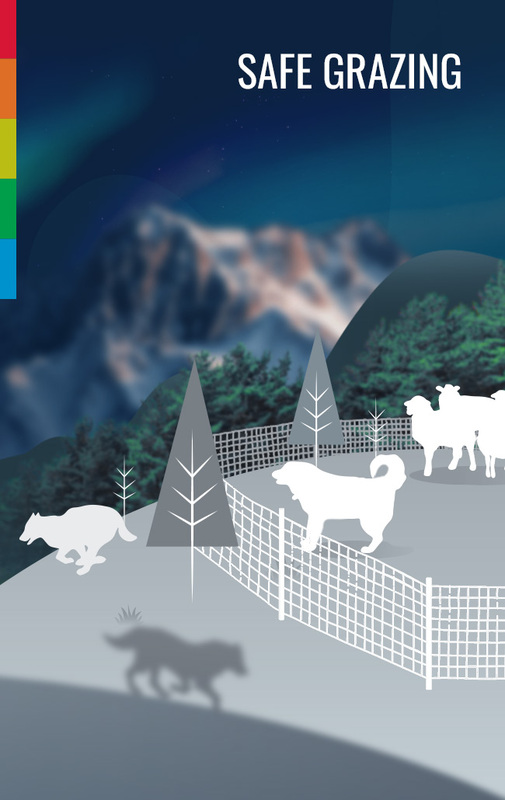 Scouts organizations were recognized as an important target group in the process of large carnivore conservation and protection of their habitats. Most scouts organizations worldwide have a long-term vision of nature conservation and environmental education provider. 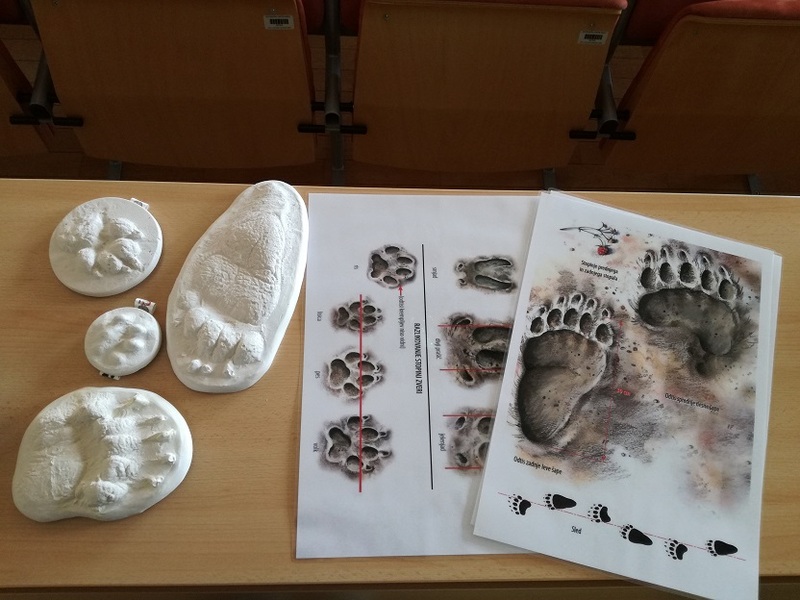 Throughout the project we have implemented several events for scouts organizations including workshops for young scouts, three presentations of the project and bears on the largest scout festival called »Taborniški feštival« (the next one will be held this Saturday, 13th April 2019) and workshops for scouts in Ljubljana. 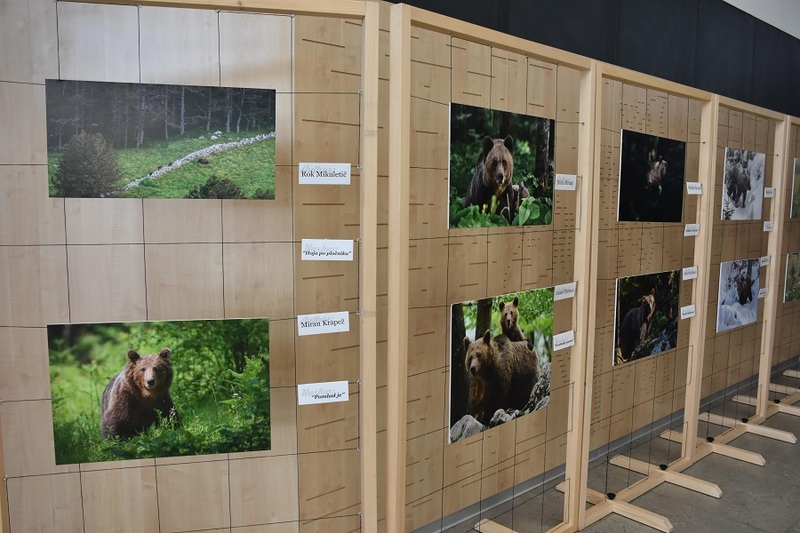 Most annual camps for scouts are held in areas with bear presence, thus all Slovenian scouting organizations were invited to participate at the workshops, even those from the areas, where bears are absent. 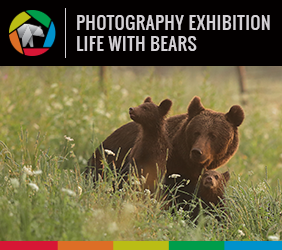 Last week, we invited the participants of the last five workshops to a field trip in a bear area. 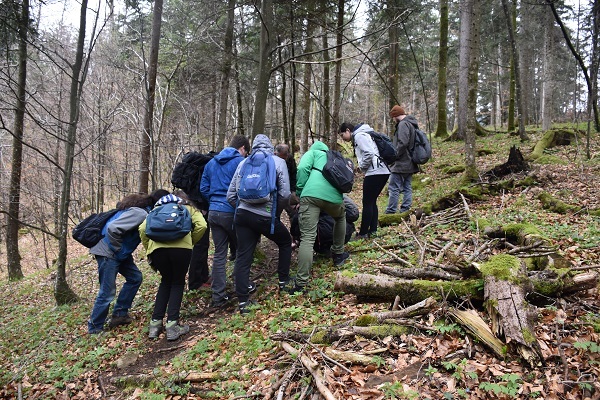 With 13 heads of Scouts organization, we have visited forests of Gotenica and Grčarice in Dolenjska region. 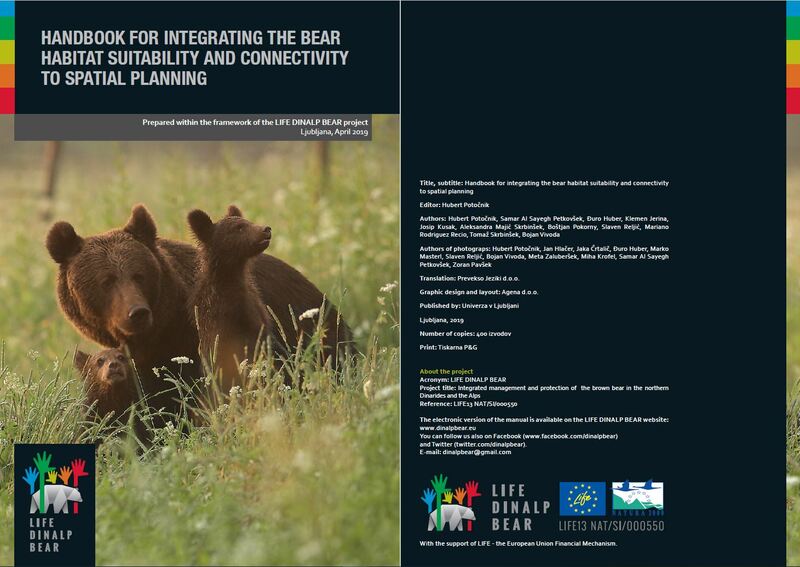 On the bus, scouts were shortly presented recent findings of LIFE DINALP BEAR project, LIFE Lynx and Interreg Carnivora Dinarica projects. 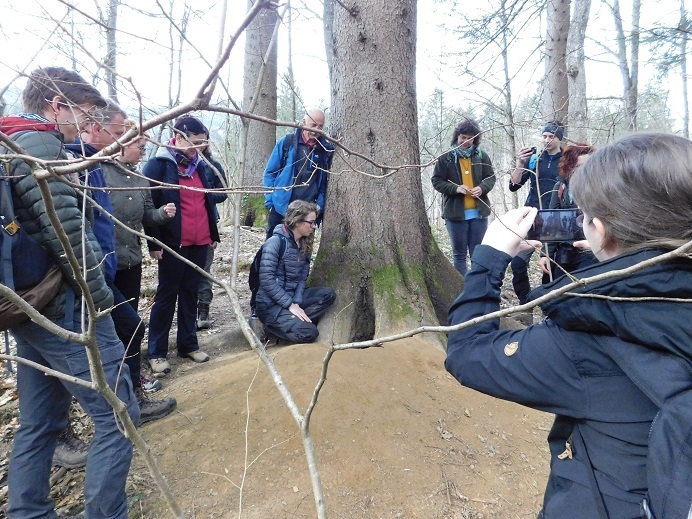 Our wildlife expert demonstrated to the scouts how to recognize signs of small mammals presence, such as excavated holes, scattered foliage and other signs. 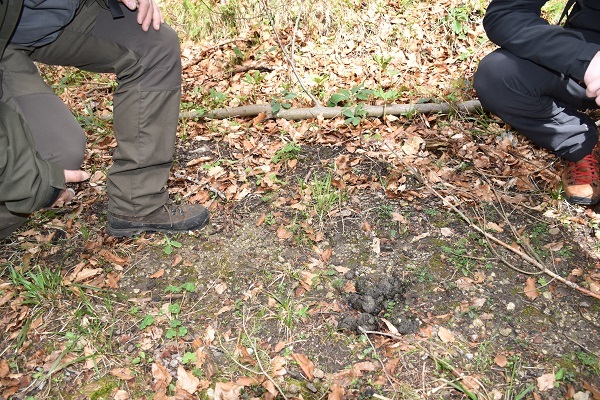 We found many footprints and excrements of roe and red dear, badger, fox, wolf and bear. 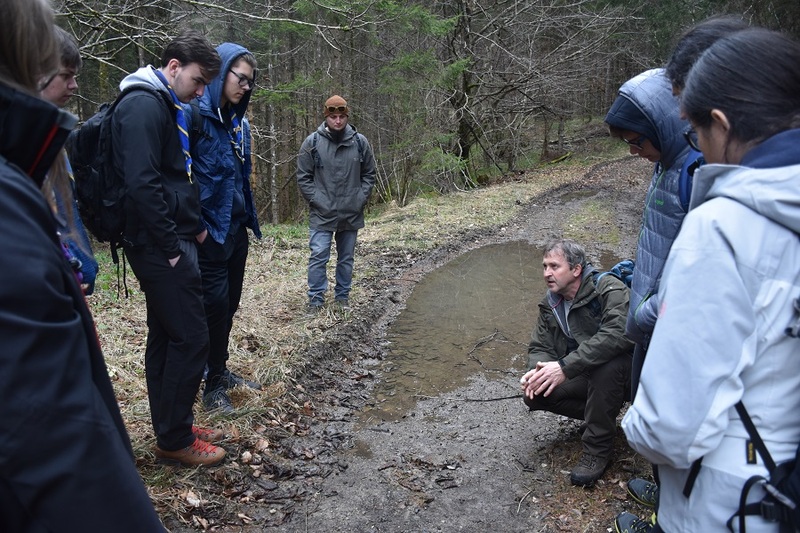 By visiting a feeding site of a local hunting club, scouts have learned more about behaviour, ecology, and management of bears in Slovenia. We have visited very impressive Činkole cave, where scouts got familiar with the animals that have found shelter in it (weasels, spiders and grasshoppers…). 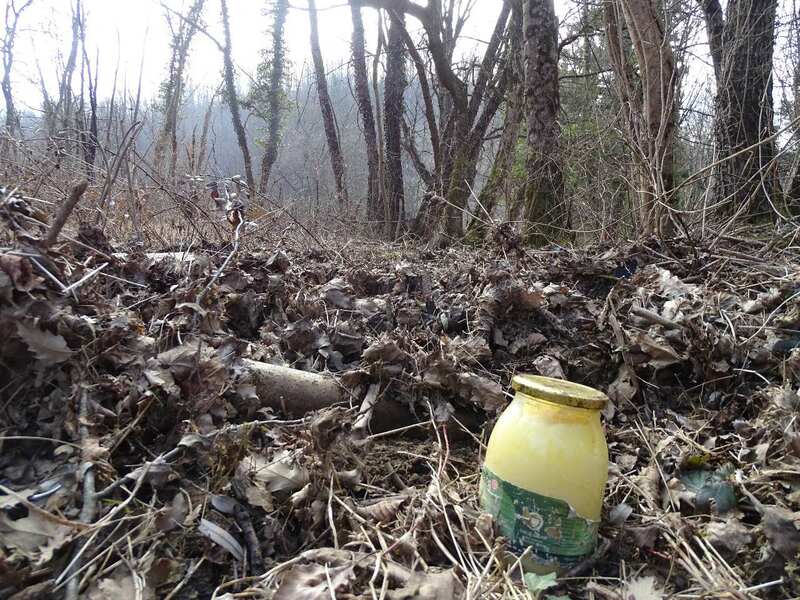 Field trip was concluded with a demonstration of a human-bear coexistence practices in a village near Sodražica. 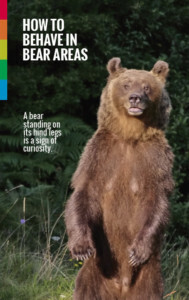 Local assistant of Slovenia Forest Service presented bear-proof garbage- and compost bins and how her task of offering assistance to other local inhabitants have improved their coexistence with bears. Scouts also got familiar with another coexistence measure – Bear-friendly scheme – by visiting a beehive, properly protected with electric fence.